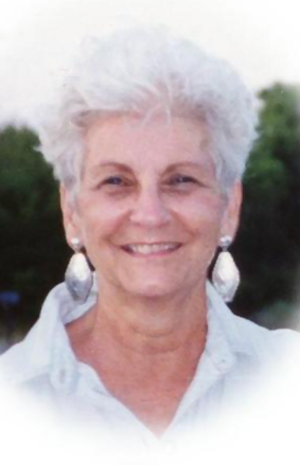 Obituary – Andrews, Betty Jean (Schaefer) « Perry High School Alumni Association, Inc.
Betty Jean Andrews, 84, of Perry, Oklahoma, was the daughter of Charles Frederick and Gertrude Anna Baetz Schaefer. She was born on April 22, 1927 in Winfield, Kansas and died Sunday, April 8, 2012 at Perry Memorial Hospital. She was confirmed in the Christ Lutheran Church in Perry where she attended school for eight years. She was a 1944 graduate of Perry High School. Betty went to work for Southwestern Bell for five years after high school until her first child Kathy Lynn was born. She was a resident of Noble County for eighty-four years. Betty married her best friend Willard Andrews on June 20, 1947 in the Old Lutheran Church in Perry. After Kathy Lynn was born they had two more children, Kim Renee and Kurt Charles. They were married fifty-six years when Willard preceded her in death on February 12, 2004. She served many years as a volunteer for the polio and cancer drives as well as the President of the Perry Campfire Council. Betty was a member of the Christ Lutheran Church, Unit 3 Missionary League at Christ Lutheran, Womens Golf Association at the Perry Golf and Country Club, the American Legion Auxiliary. She also served as a junior youth counselor, Bluebird and Campfire Leader for seven years, an officer for the Basketball Tip In Club and as a representative of the Lutheran Social Services for over thirty years. Betty started the prayer chain at Christ Lutheran Church in March of 1981 and served on the prayer chain from that time until her death. She often was heard saying that it was always a privilege to be Willard’s wife, the mother of her children and to be a grandmother and great grandmother. Betty said God had been good to her on this earth and with him by her side she could handle anything, although it was not always easy. Funeral services will be 2:00 p.m. Wednesday, April 11, 2012 at the Christ Lutheran Church in Perry, Oklahoma. Rev. William Metz will officiate. Interment will be at Grace Hill Cemetery, Perry, Oklahoma. Services are under the direction of BrownDugger Funeral Home. Memorials may be made to Charity of your choice in care of BrownDugger Funeral Home, 1010 N. 7th Street, Perry, Oklahoma 73077. Betty is survived by one son, Kurt Charles Andrews and his wife, Angela of Perry, Oklahoma two daughters, Kathy Lynn Hillis and her husband, Larry of Norman, Oklahoma, Kim Renee Smith and her husband, Wayne of Ponca City, Oklahoma six grandchildren, Keli Collins and her husband, Daryl of Lawton, Oklahoma, Matthew Hillis and his wife, Christina of Moore, Oklahoma, Emily Christian and her husband, Zack of Stillwater, Oklahoma, Anna Smith of Stillwater, Oklahoma, Will Andrews of Perry, Oklahoma and Alexandra Andrews of Perry, Oklahoma four great grandchildren, Connor Collins of Lawton, Oklahoma, Kamryn Collins of Lawton, Oklahoma, Jordan Hillis of Moore, Oklahoma, Jenna Christian of Stillwater, Oklahoma. She was preceded in death by her husband, Willard and her parents, Charles and Gertrude Schaefer.